This installment of “What’s it all about?” will attempt to demystify the exciting miniature world of microfluidic technology, particularly as it pertains to cell biology and chip-sized cell culture systems. The term microfluidics can be used for both the physics-based study of how fluids move through small spaces and for the application of micro-sized fluid-filled devices generally thought of as “labs on a chip.” Here we will focus on the latter and how these microfluidic devices function in cell biology research. Generally, microfluidics for cell biology represent a mini cell culture system where a single cell or a few cells are seeded into a device with input and output channels. These cells are exposed to dynamic fluid flow, often accompanied by live imaging. The devices are engineered to fit the experimental conditions—meaning, what flows in, what flows out, flow rates, mixing, and extracellular microenvironment, are all controlled very precisely. This has created a field in which microfluidic devices can vary to a large degree. Though there are many variations of microfluidic devices ranging in complexity, they do have one unifying feature. 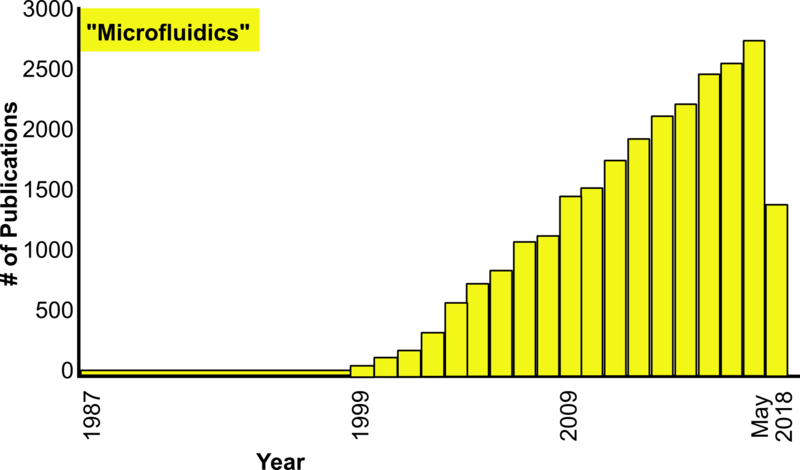 They are small (Figure 1). Their micro size confers many advantages, probably the most obvious being the reduced volume needed for reagents. Typically microfluidic devices work in the nanoliter range of fluid volume, meaning fewer cell media components and less of the expensive experimental compounds. It also means fewer cells, which can be of particular importance if you are working with a precious cell population, like primary patient-derived cells. Not only are the volumes inside the device small, but making a microfluidic device also requires a micro amount of materials (material costs reviewed here). Using less stuff means using less money, something most labs can get behind in the current state of public funding availability. In addition to the small size of microfluidics being a reagent savings advantage, it may also make more sense biologically. Traditional cell culture techniques have not changed for over a century now: the classic large, round dish or flask filled with 8–15 ml of red media. This is obviously not how cells live in an intact organism. Downsizing to smaller, tighter-packed, mini-tissues may give us a better replica of an in vivo situation (Figure 2). In addition to their size providing unity to the field, microfluidic devices are also generally made using the same technique, soft lithography. This technique is about making things out of elastic-type or “soft” materials using stamps and molds. The most commonly used material is poly-dimethylsiloxane (PDMS). Though PDMS is still used the most, new materials are constantly being tested. In general, scientists are seeking something more biocompatible because PDMS can be toxic and must be coated with extracellular matrix proteins to make it adhesive for cells. Some recent advancements have been made using different kinds of plastic, hydrogels and even using paper! What are the applications in cell biology research? So what are people actually using these tiny devices for? 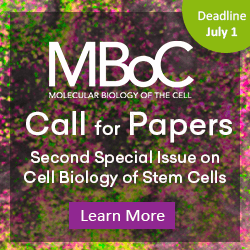 There seem to be two broad classes of applications in academic cell biology research: 1) the high-throughput testing of single cells in specific microenvironments and 2) tissue engineering approaches at making better in vitro models. I’ll go into more detail of each below. Somewhat similar to what you see when looking at a traditional hemocytometer, thousands of cells can fit in one microfluidic device, but they can now be separated into personalized microenvironments via multiple chambers. These multi-chamber devices allow you to analyze thousands of replicates or thousands of different conditions. Introducing active flow allows you to expose the cells to gradients of different compounds—a technology particularly applied by those studying cell migration and chemotaxis. In addition, the soft nature of the device material allows you to also introduce gradients of stiffness, mainly utilized by those who study durotaxis. Combined with live imaging, precisely and dynamically controlling thousands of cells’ microenvironments and watching what they do in response is a major application of microfluidics. You are also not just limited to measures of cell behavior. Systems have also been developed to lyse each individual cell to get at what is going on inside. Combined with single-molecule detection techniques, you can measure the levels of mRNA, protein, etc., in response to changing the microenvironment. For more details on microfluidics for high-throughput single cell analysis check out this review. Here, the goal is not to just increase the speed, efficiency, and quality of data obtained by traditional in vitro cell culture approaches, but instead to better replicate an in vivo situation. Intact tissues are under constant flow and also exist in 3D. Microfluidic tissue engineering devices don’t have repeating chambers generally, but have sophisticated 3D set-ups where often multiple cell types are seeded. Flow is then used to control the supply of nutrients, as it is in vivo. It has been particularly effective in replicating vascular tissues and how cancer cells are disseminated by extravasation into the bloodstream. 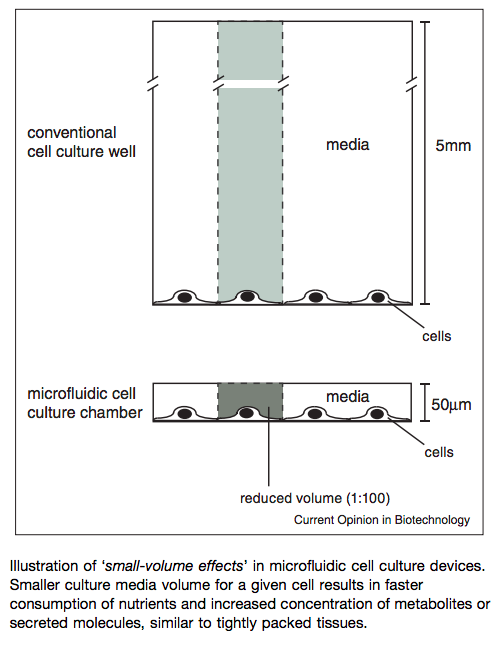 For more details on microfluidics and 3D culture see this review. What’s happening now and where is this field going? Microfluidics in academic research remains an interdisciplinary field of collaboration between cell biologists and engineers. These collaborations are continuing to find better ways to do cell culture experiments. 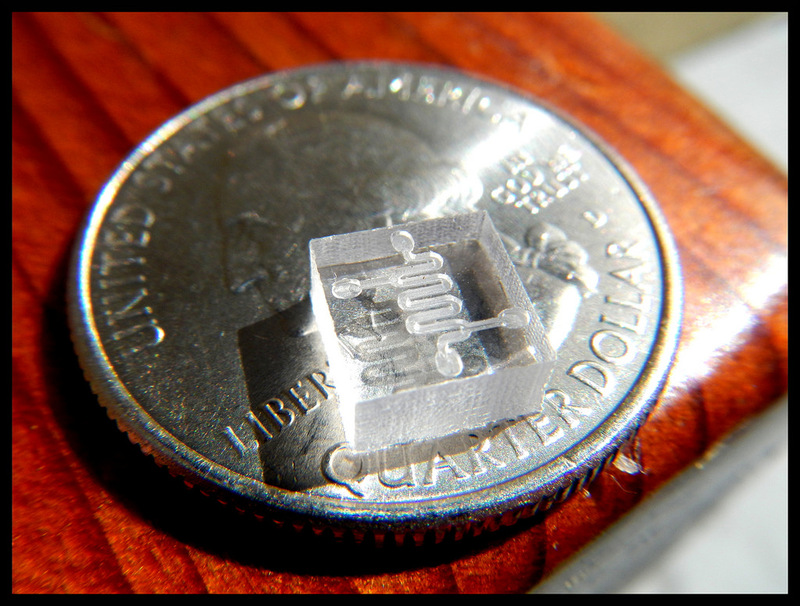 On the other hand, the biomedical industry is just starting to vastly expand its use of microfluidics. Some of the major new developments have utilized microfluidic devices for medical diagnostics and research and development of new therapeutic drugs. On the medical diagnostic side, for example, using a microfluidic device for a simple blood test means using less blood and vastly improves processing times. Remarkably, a recent study has been able to demonstrate the usefulness of an “in the field” microfluidic device for the successful detection of HIV. This could have huge implications for emergency and low resource-type medical settings. Research and development teams working on testing new drugs also are beginning to implement microfluidic approaches. Here they aim to use the tissue engineering-type devices to more accurately test new drugs on an in vivo-like system before moving to costly animal and clinical trials. If you can test for compatibility and side effects on an organ-on-a-chip model (reviewed here) ahead of time, the speed at which useful drugs make it to market could be improved. The ease with which you can implement microfluidics into your research will greatly depend on the strength of your collaborations. This technique is still deeply rooted in engineering; the materials and the resources out there for a lone, starting cell biologist are few. You can view this international list of companies producing microfluidic products or, if you really just want to try it, consider this starter kit. Most labs that are using microfluidics routinely are appointed in engineering and proficient at soft lithography. Find one of these labs, talk to them about what you want to do, and be willing to work with them on it with hands-on training on these techniques. Starting something new in the lab is always a challenging endeavor, but you can make it happen!